Cloudy. Slight chance of a rain shower. High 71F. Winds SSW at 10 to 15 mph..
Cloudy skies this evening will become partly cloudy after midnight. Slight chance of a rain shower. Low 49F. Winds light and variable. Flooding on South Road in Hampton on Monday morning. Glen Road in Fort Edward was washed out by flooding early Monday, waters from a stream flooding Route 4 and submerging a car. 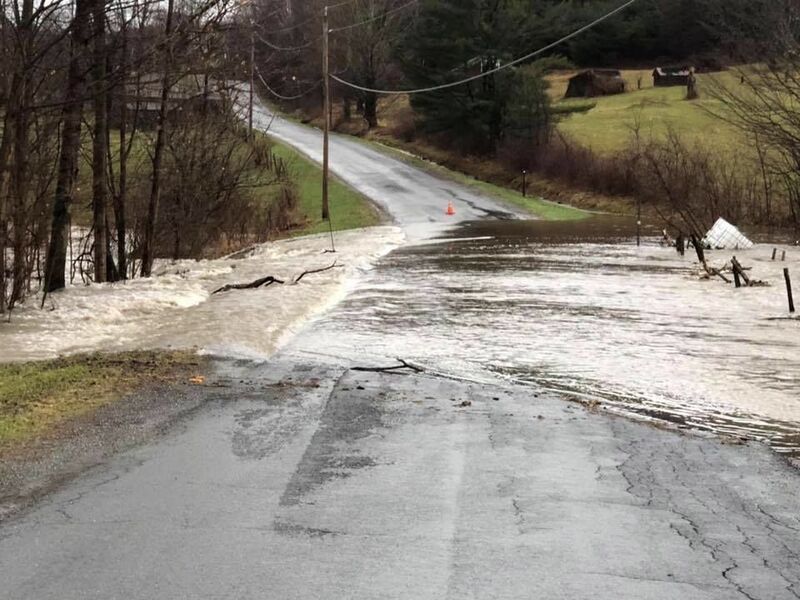 A number of roads remain closed in Washington County on Tuesday morning because of Monday's flooding. Fire departments around the region are continuing to respond to calls about flooded basements Tuesday morning as well, while a flood warning is still in effect for the Mettawee River but the river has begun to recede. Register for The Cool Spring Show! Reserve your booth space at The Cool Spring Show!